THESE CARS’LL HAVE YOU WAGGIN’ YER TAIL! THESE CARS’LL HAVE YOU WAGGIN’ YER TAIL! by Jim Corbran, Automotive Columnist So if you’re thinking of moving to Europe, and you’re a fan of Ford’s Fusion, you’re in luck as Ford sells pretty much the same car over there called the Mondeo. An upscale version called the Vignale (vinny-AL-ay) has a few more bells and whistles. And here’s a big bonus — across the pond there’s a nifty-looking station wagon version of the Vignale. One which unfortunately I doubt we’ll ever see over here, as everyone in North America, and his/her brother/sister, seems enthralled with SUVs/crossovers. Too bad for us. The station wagon version is much handsomer than most of Ford’s crossovers (sorry, Escape fans! ), with the added bonus of fitting in most parking spots (sorry, Explorer fans! ), and sporting a non-faddish look-at-me look (sorry, Flex fans!). While we’re on the subject of European estate cars, why does Chevy offer just as nifty of a station wagon version of its compact Cruze over there but not over here? 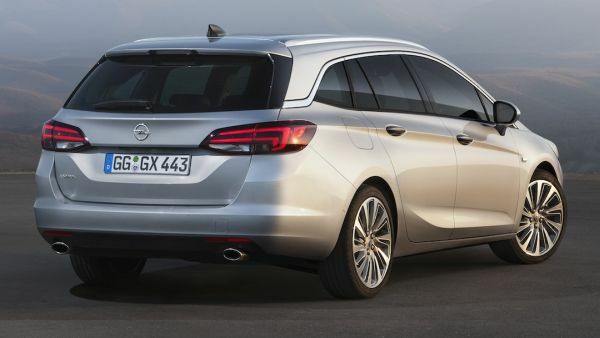 If Chevy’s really not interested (and it appears they’re not, but at least the five-door hatch is finally on its way) there’s also a nice version over at the Opel store called the Astra Sports Tourer which would look great stateside in Buick showrooms. You know, after all of my years as a dyed-in-the-wool car fan, you’d think the manufacturers would listen to my cries every once in a while. Ya know?! ### The post THESE CARS’LL HAVE YOU WAGGIN’ YER TAIL! appeared first on Buffalo Cars.